Welcome to this beautiful, move in ready home with a sparkling pool in the Rolling Hills community. This hard to come by hidden gem will not last! The open floor plan offers 1,621 sqft of living space and features 3 bedrooms and 2 baths. The granite counter tops in the kitchen and bathrooms will not disappoint. The kitchen features stainless steel appliances and updated white cabinets. Updated tile flooring throughout the kitchen, living room and hallway are sure to delight all. Two french doors in the living room provide plenty of natural light. The home sits at just under half an acre with room for RV parking and offers mature landscaping. 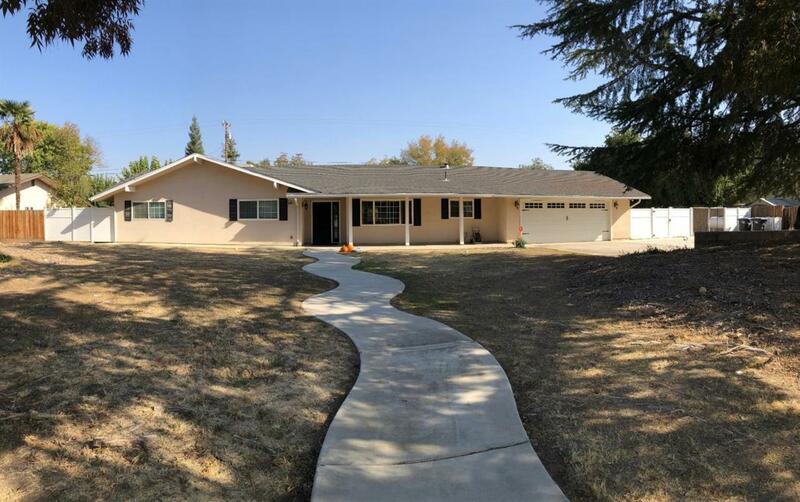 This terrific home is located within the highly acclaimed Golden Valley Unified School District and is a must see. All of this and only 10 minutes away from River Park Shopping Center. Schedule your appointment today.